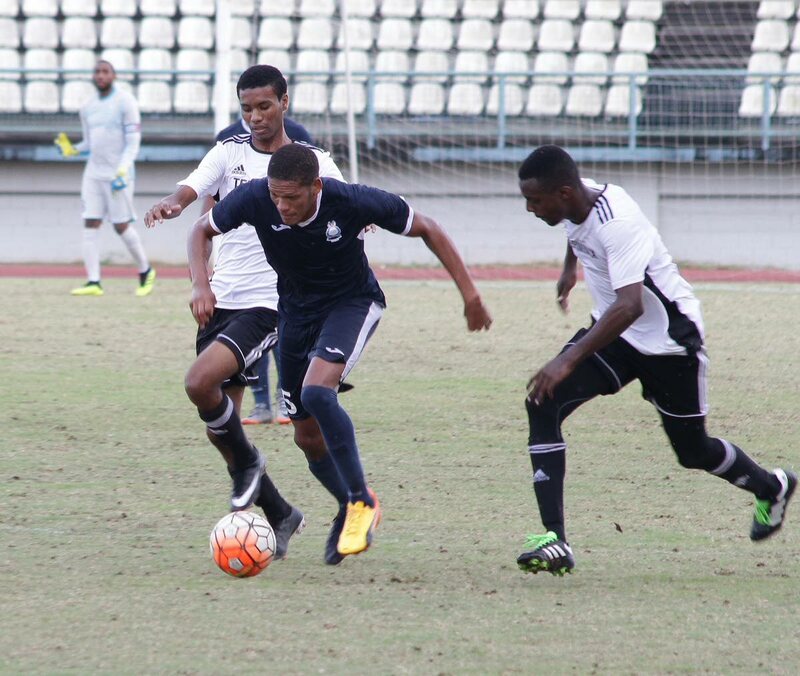 FLASHBACK: Police FC's Christian Thomas, centre, goes past two St Ann's Rangers players in a Pro League match, at the Larry Gomes Stadium, Malabar, in August. THE 2018 Pro League crown will be decided today, when the final day of action is contested. W Connection sit atop the 10-team standings with 34 points, followed by Club Sando, Police and Central FC, who all have 33 points. Connection will face the pitiful outgoing champions North East Stars, in the second game of a double-header at the Ato Boldon Stadium, Couva from 8 pm. At the same time, a pair of inconsistent teams San Juan Jabloteh and Terminix St Ann’s Rangers, will be squaring off at the Hasely Crawford Stadium, Mucurapo. There will be a pair of intriguing contests, simultaneously kicking off at 6 pm. At Couva, Police and Central FC are set to face each other, while at Mucurapo, Club Sando will be meeting Morvant Caledonia United. According to Police coach Richard Hood, “We know it’s going to be a difficult task but we are confident that we are going to defeat Central. We just hope that ‘Cale’ can do us a favour. The two top teams in the 2018 season will qualify for the 2020 Caribbean Football Union (CFU) Club Championships. This has been easily the lawmen’s best season in the Pro League since its inception in 1999. Asked what have been the contributing factors, Hood responded, “the main factor is that we’ve been fortunate in that the previous Commissioner Stephen Williams afforded us the ability to train like a professional team. We are now able to train and rest accordingly, whereas in the past we had to train and go back to work. I think that’s the main thing that’s making a difference this year. “The present Commissioner Gary Griffith has endorsed the programme and is fully behind the team,” Hood added. 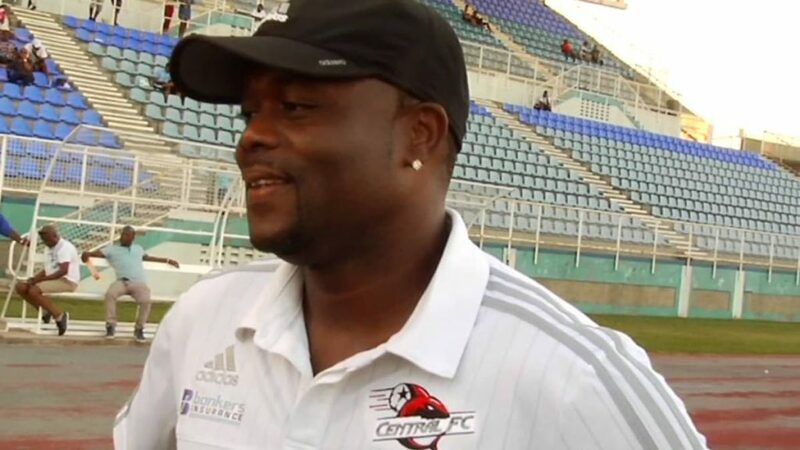 Former national ace striker and men’s team assistant coach Stern John, who is currently at the helm of Central FC, is also adopting a realistic approach for today’s game. Central FC have struggled to recruit players due to financial problems, and only have a squad of 14 for today’s game. John pointed out, “We want to finish in the top two, but it’s not in our hands. We’ll have to win our game and see what happens. He described the team’s season thus far as “up-and-down”, with emphasis on rebuilding. “We achieved much more than we thought,” he said, referring to the successful First Citizens Cup campaign. John also hailed the contributions of goalkeeper Marvin Phillip, midfielders Densill Theobald and Duane Muckette, as well as striker Akim Armstrong. Defence Force completed their 2018 season with a 4-1 victory over Stars, in a rescheduled contest, at Mucurapo on Wednesday evening. Veteran striker Devorn Jorsling netted twice, in the seventh and 28th minutes, and there was a goal apiece from Darius Ollivierra (42nd) and Kerry Joseph (75th). Kordell Samuel got the lone item for Stars, in the 11th. Reply to "Thrilling finish to Pro League today"